Ronnie Dean Harris aka Ostwelve, is a St? :lo/St’át’imc/Nlaka’pamux multimedia artist based in Langley, BC. He got his start with professional graphic design at the age of 14 and in the same year, he began co-hosting the “When Spirits Whisper” radio show along side Gunargie O’Sullivan on CO-OP Radio 100.5 FM (formerly 102.7 FM). 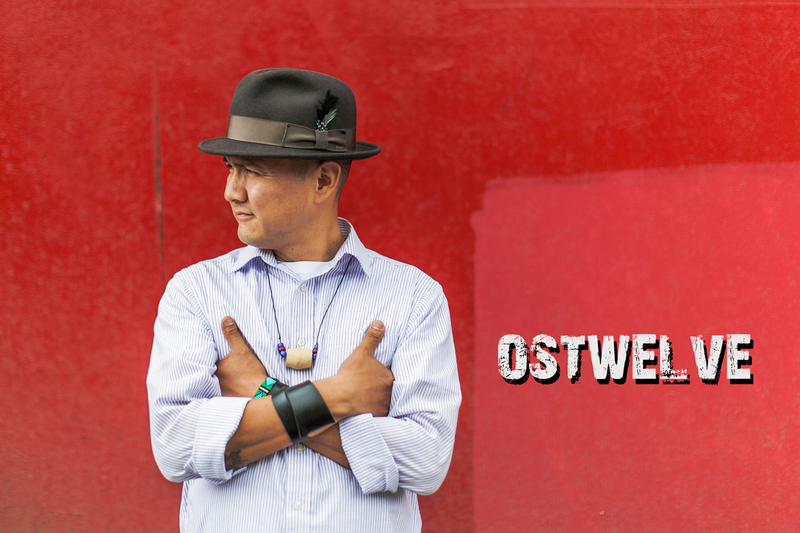 Over the years, he has worked on number of media projects, as an actor and composer for APTN/Showcase dramatic series “Moccasin Flats” for two seasons as a performer and a lead character, and in the subsequent film project “Moccasin Flats: Redemption” in 2007. He was a Content Manager + Contributor to Revolutions Per Minute – RPM.FM, an Indigenous Music Culture website where he also hosted a podcast. Ronnie is featured in the National Film Board musical documentary “The Road Forward”, and the Knowledge Network’s “Looking At Edward Curtis”, both directed by Marie Clements. He is currently performing as the voice of “Dad/Walter” on upcoming PBS series “Molly Of Denali”. Ronnie has also been very active in creating and facilitating workshop programs for youth in media arts and hip-hop. Currently he is working as the Program Director for “Reframing Relations” with the Community Arts Council of Vancouver delivering programming for indigenous and non-indigenous artists to interface with students and youth in schools and communities around the concept of reconciliation.